Speaking to NME earlier this year (after winning the Best Festival Headliner Prize at the VO5/NME awards, no less), Muse frontman Matt Bellamy let it on the band’s plans for the new tour. “We’re going to do the biggest tour and just blow people’s minds with stuff they’ve never seen before. We’re going to come up with something that no one’s ever seen before”, he said. In other news, the Devon band just yesterday released the music video for ‘Pressure’, the third track off their upcoming studio album, Simulation Theory. A tongue-in-cheek parody of Back To The Future, the Lance Drake-directed short features an appearance from Terry Crews, who’s best-known for his role in the comedy series Brooklyn Nine-Nine. 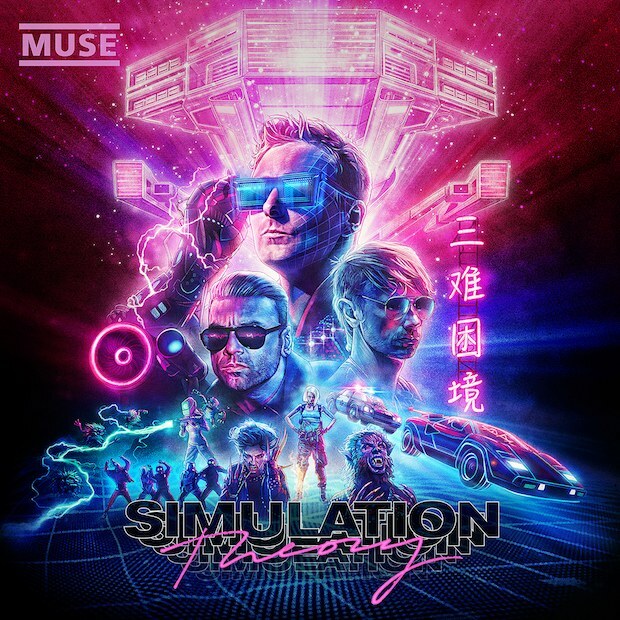 Out on November 9th, Simulation Theory will be Muse’s first full-length release since 2015’s Drones, a 1984-style concept album about social indoctrination and the societal implications of emerging technology. With production from LA-based Rich Costey (known for his work with Sigur Rós and Foster The People), Mike Elizondo (Nelly Furtado and Pink), Swedish-born Shellback (Pink, Taylor Swift, Britney Spears) and hip-hop luminary Timbaland (Jay-Z, Ludacris, Madonna), the eleven-track release will see the band continuing their experimentation with ’80s sounds. The ’80s vibe has spread to the visuals, too: the album’s striking artwork features a Tron/Star Wars-style design from Kyle Lambert, who did the posters for Stranger Things and Jurassic Park.